The West Michigan Robotics Alliance is an entity created to foster innovation and the sharing of ideas and products for the FIRST community. The Alliance is open to any FIRST robotics team or sponsor who would like to contribute ideas or financial support. All technology developed is open-source to the FIRST community. 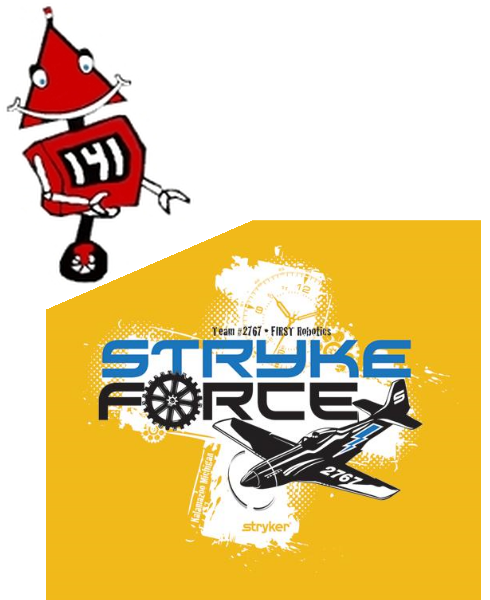 At present, the WMRA is comprised of Team 141, WOBOT and Team 2767, Stryke Force.